Writing a novel is a lonely endeavor. It means hours spent alone, staring at the glow of the computer screen, with no noise in the room other than the ghostly clickity-clack of fingers against a keyboard. In my writing workshop, The Novel Writer's Blueprint, I compare writing a book to running a marathon, and I consider it an extremely apt metaphor. Writing a book lacks the spontaneity of poetry, and the exuberant discovery of writing a song or producing a painting. It is a long grueling haul with nothing to keep you going through to the end other than your own dedication to the craft. That’s why it is such a pleasure when a writer finally gets an opportunity to collaborate with other artists. Writers are often obsessive about controlling every aspect of their work. Some even fear their unique "voice" will be lost if others are allowed to contribute. In my experience, this couldn't be further from the truth. 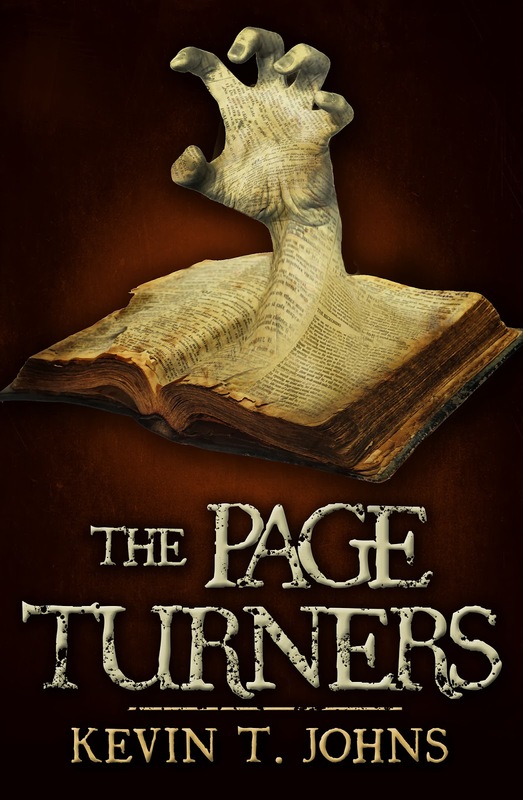 Collaborating with other artists produced some of the most enjoyable experiences in the creation of my young adult horror novel, The Page Turners. 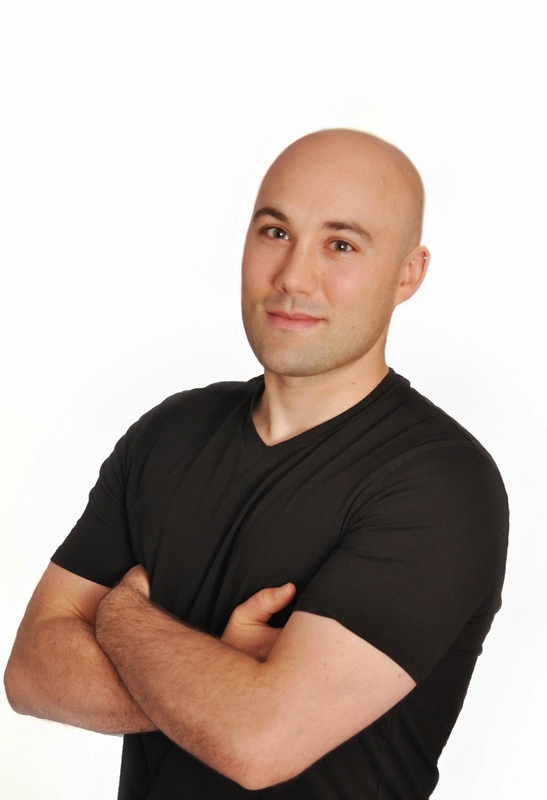 When I called up Melanie Shields, a photographer who happened to live close to me in Ottawa, Canada, and enquired about getting my author photo taken, she asked what I was looking. I told her I wanted the picture to look like a cover for Men's Health magazine. Throw Men's Health across the top, and some B.S. headlines like “How to Get Six-Pack Abs in 15 Seconds a Day, While Still Eating Poutine!” and you've got your average issue of the magazine right there. 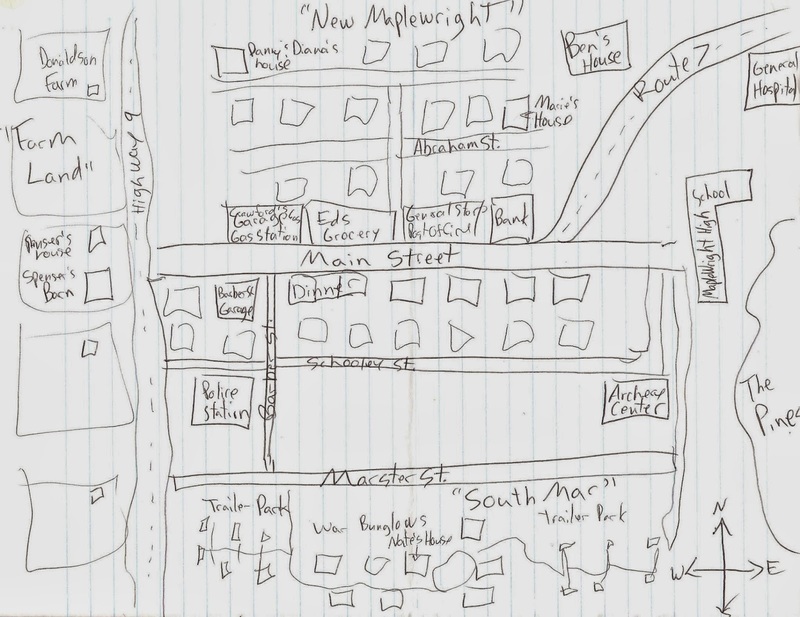 Now, The Page Turners takes place in a small town, and during the crafting of the novel, I ended up drawing a map to help me keep the town organized geographically. When I shared this map with my editor, F. A. Sumner, he asked if I would mind if he took a crack at drafting something a little more polished for possible inclusion in the novel. I figured, what the heck, go for it. Adam's beautiful and detailed maps now take up the first six pages of the book. 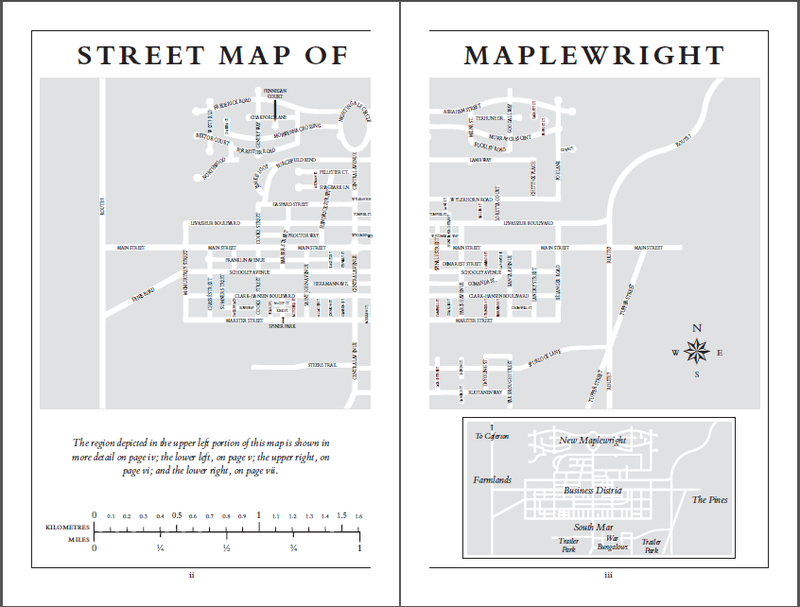 The maps add a wonderful level of realism to my fictional town, which readers have told me they absolutely love. Now listen, don't ever let someone tell you people don't judge a book by its cover. They do. They absolutely do. That's why I consider myself super lucky to have worked with amazing cover designer, Kit Foster. I sent Kit a number of potential cover ideas for The Page Turners, including the following description: Concept B - Playing with the idea of fiction come to life. An open book, with a scary looking hand coming up out of the text; the paper of the page is all stretchy and the words appear across the hand like skin, ala the girl coming out of the TV in The Ring or any number of ghosts pressing out of walls in ghost movies. What did Kit come back with? I've got to tell you, seeing that book cover for the first time was one of the most exciting parts of the whole novel writing process. So yes, writing a novel can be an exhausting and solitary effort, but working with other talented artists can reinvigorate a writer's energy and bring new aspects to the project that can raise the book to whole new levels of quality. If you want to see how all these different collaborative elements came together in the final product, make sure you get your copy of The Page Turners in paperback or ebook today. The cover and map are amazing. I love maps and take a long time studying them to make it easier to picture the locations of events in the books I read, when they are included. And covers - they sometimes make me grab the book or pass over it without even checking it out. Great post! Sherry, I'm glad you like the cover and the map! Adam, the map designer, and I are both big fans of maps too, so it was some real fun sending example maps back and forth while trying to decide the style we would use for The Page Turners. We looked at, and discussed, Under the Dome, LOTR (of course), Wind in the Willows, Winnie the Pooh, and a map of Thomas Hardy's Wessex, to name a few! What did you say? An evil book at the library? You bet I would open it and....and read it. Thanks Sharon. Great collaboration Kevin. Yes, I would probably open it! 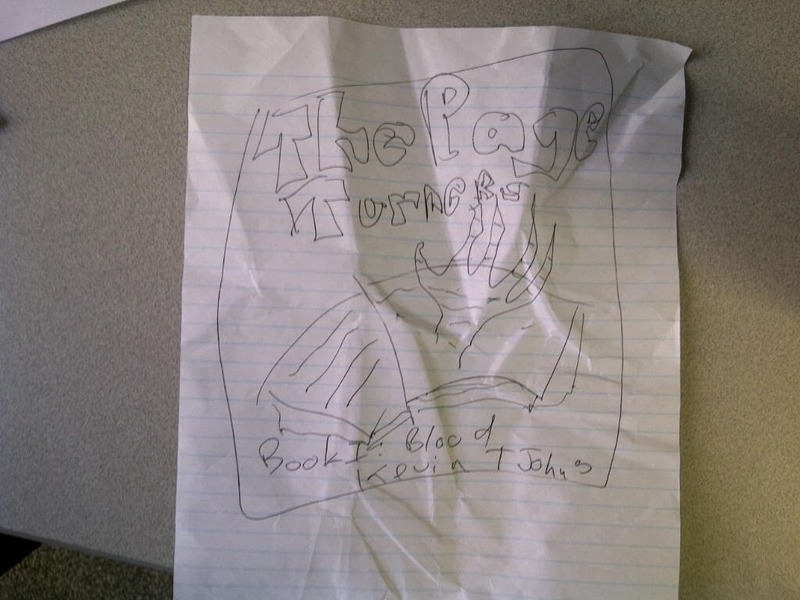 The Page Turners sounds like a fascinating book with interesting maps and intriguing cover. Thanks for sharing. BookLady - It's definitely a story about and for the type of people who absolutely love maps, books, stories and libraries! Absolutely true. It's an exciting prospect to allow others so talented to translate our ideas. I do the same for clients in my 'day job', so it's a pleasure to have that exchange in writing as well. Catherine, I'm totally jealous; my day job offers few pleasures! Hmm big and evil. What makes it evil might make it interesting; in which case, yes! However, if it is evil and covered with spiders thennnn nooooope. I enjoyed the interview especially as I just finished a collaboration that I REALLY liked! Lavendersbluegree - So glad you enjoyed the guest post. It was my first one, so I was a little nervous!